Referrals are the best way to gain new business. 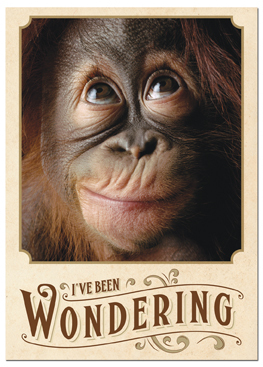 This card is a the best tools to ask for referrals from your existing clients. Do you know of anyone who could benefit from our services? 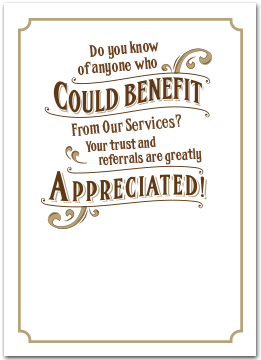 Your trust and referrals are greatly appreciated!